Giving search engines the right instructions will improve link and ranking signals for your content available through multiple URLs or via syndication, Google says. 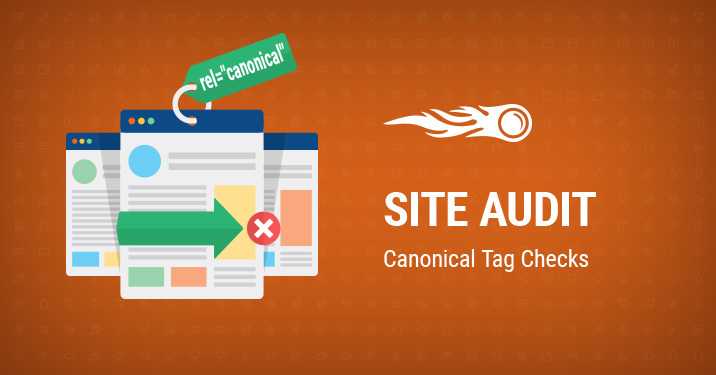 Today we’re excited to facilitate the checking part of this routine for you — the Site Audit tool now allows you to check if you’ve implemented canonical tags correctly on your website in a flash. If you have similar or the same content available across multiple URLs or even multiple websites, it’s confusing for a search engine to decide which page to show. This is when you would want to implement the rel=”canonical” element in your webpage markup — it’s basically a tag that will inform search engines which version of a page should be displayed in search results. Using canonicalization the right way helps you control similar or duplicate content on your website without harming your rankings, so be sure you’ve implemented it correctly. First, go to one of your projects for which you’ve set up the Site Audit tool. If you don’t have any, head to the Project Dashboard, create a new project and set up the tool. Next, go to the ‘Issues’ tab and click on ‘Select an Issue’ button to find out if canonicalization checks have been triggered for your website. This check is triggered if a rel=”canonical” link specified by you is broken and thus leads to nowhere. It’s important to detect this issue, as a broken link complicates the process of crawling and indexing your content by search engines, which can lead to crawl budget waste. Click on the check’s name to get a list of your pages that have a broken canonical link. On the right you’ll find the HTTP status code of the canonical link URL. Learn how to fix this issue in the ‘Why and how to fix it’ section. This check is triggered if you’ve specified more than one rel=”canonical” link in your page’s markup. Seeing multiple canonical URLs, search engines can’t identify which URL is the actual canonical page, and will likely ignore all the canonical elements or pick the wrong one. Click on the check’s name to get a list of your pages that have multiple canonical links. We’ll display the first canonical link URL from your page’s markup in the table. Don’t forget to check out how to fix this issue in the ‘Why and how to fix it’ section. What do you think about this handy enhancement? Let us know your thoughts by dropping us an e-mail at [email protected]. Bug Bounty Launch – Get Paid for Hacking!